My goal is to raise the achievement of boys though the use of effective pedagogy and the use of eLearning. 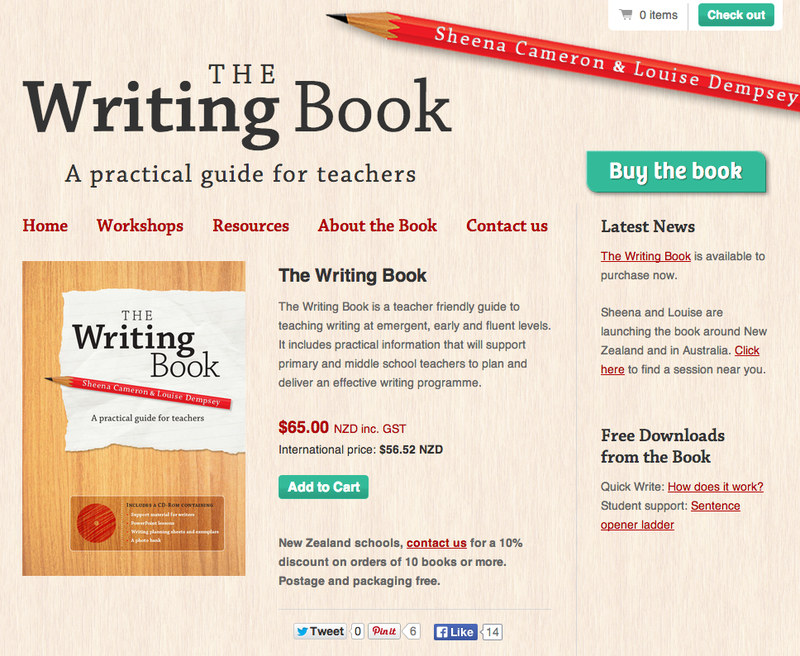 I came across The Writing Book by Sheena Cameron and Louise Dempsey, via a blog post from Juliet Revell. I have been to a course with Sheena on reading a while back and found it to be immensely useful. I think I will have to see if I can track down a copy. They have a Facebook page as well which I have 'liked'. 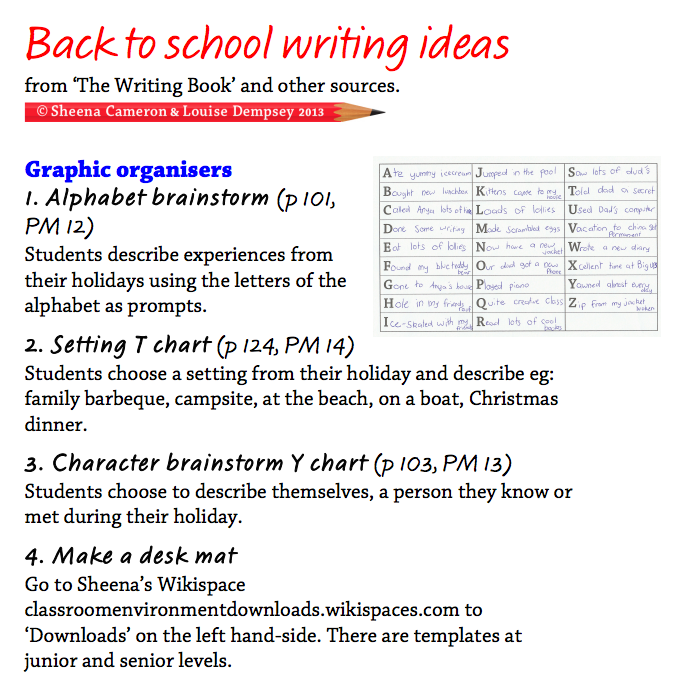 I have stored these writing ideas as prompts for later on when the boys get stuck. Your suggestions and feedback are very much appreciated.